Migration / Immigration is a project by ArtC collective that in its first phase created an art exhibition with the intention to convey a more humane view on migration and immigration. 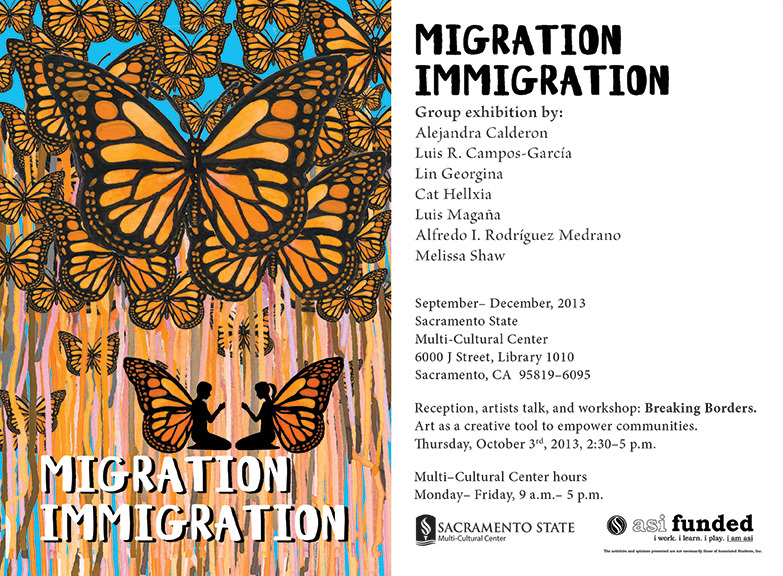 The artwork was displayed from September to December 2013, in the Multi-Cultural Center at California State University, Sacramento. 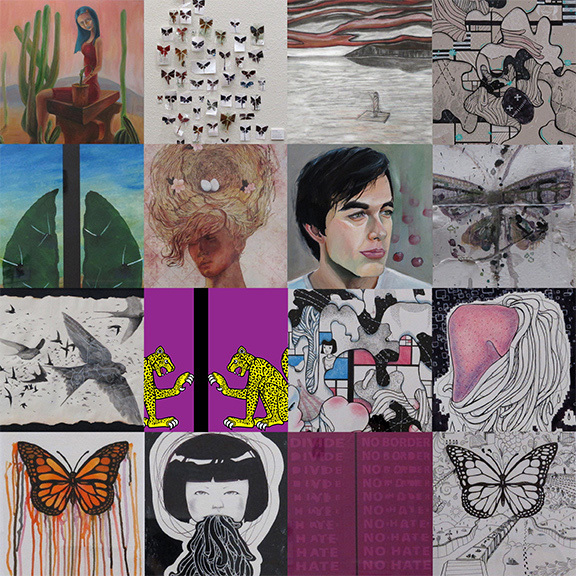 The exhibition included two dimensional artworks by Alejandra Calderon, Luis R. Campos-García, Lin Georgina, Cat Hellxia, Luis Magaña, Alfredo I. Rodríguez Medrano, and Melissa Shaw. The artists reflected on the issues of migration and immigration, and depicted their personal interpretations by means of drawings, paintings, prints, and mixed media on paper, cardboard, plastic, and canvas. Flyer for the Migration / Immigration exhibition by Artc Collective. Figurative and abstract artworks show a variety of interpretations of migration and immigration. Some artworks deal with the way human made borders affect the migration of animals and people. Other artworks show people, as a way to put a face to recent migrants with specific stories about their experience migrating from one country to another. Also, some artworks address the objectification and sexualization of women of color, many of them migrants, in mainstream culture. Some of the artwork by Artc Collective, exhibited at the Multi-Cultural Center, Sacramento State. The exhibition included an artists’ talk and workshop where the artists talked about their interpretation of migration, immigration, and their artwork. The workshop “Breaking Borders,” intended to create a dialogue about migration by means of using collective mapping to make participants aware of the experience of those people who move from one place into another looking for a better life. All of the artist involved in this exhibition, graduated from Sacramento State, and are currently working on personal projects. Nevertheless, they manage to get together as a collective of creators willing to say something about what they see around them in this globalized world.